Whether you ride a European moped, a Japanese street bike or an American chopper, all motorcyclists in North Carolina must carry minimum liability coverage. The types of coverage, costs of premiums and levels of deductibles all vary depending on the vehicle and policy the customer needs, which can result in a confusing process and poor coverage choices. The friendly agents at Simpson Insurance Agency can help you sort out the coverage you need at a price you can afford. A minimum liability coverage policy covers the costs of any damage the motorcyclist causes in an accident. The North Carolina Department of Motor Vehicles requires that all motor vehicle operators carry minimum liability coverage. The premiums and deductibles on motorcycle policies can be higher or lower than those for automobiles used for the same purposes. A collision coverage policy reimburses the motorcyclist for damage done to a motorcycle in a collision. 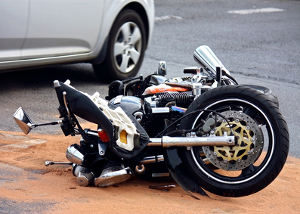 If the motorcycle is deemed to be a total loss, the money from a collision coverage claim can go toward the cost of a new vehicle. A comprehensive coverage policy protects the rider from non-accident related damage. Comprehensive policies can also include personal injury protection, theft protection and coverage for weather-related repairs. In addition to motorcycle coverage, Simpson Insurance Agency can help clients insure their recreational vehicles (RV’s), all-terrain vehicles (ATV’s) and boats. Our experts can help determine the levels of coverage that can fit nearly any budget. For more information, contact one of the helpful agents at Simpson Insurance Agency today!